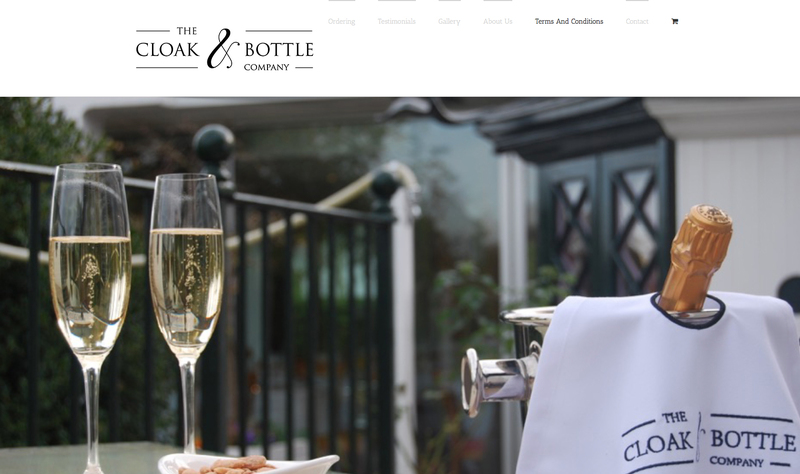 The Cloak and Bottle Company is an exciting small business run by husband and wife team, Tom and Alexandra Martell. They specialise in the design of beautifully embroidered wine cloaks for businesses and as gifts for individuals. After our work creating the logo and branding for this company, we created this understated yet elegant website allowing them to share their unique product with an online audience. This simple one-page website includes an About Us section, a Gallery, Testimonials and Contact Information, as well as an Ordering section which directs users to a relevant contact form for a quote request based on their specifications. 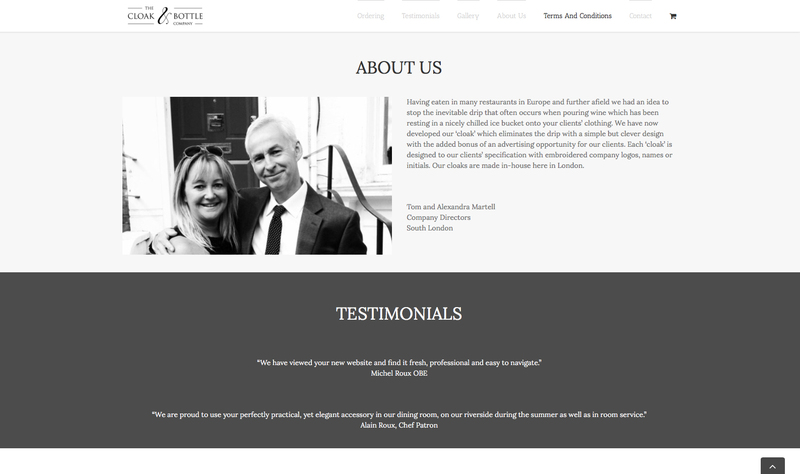 Alongside the website design and build, we also assisted with the content writing. Working from a draft, we rewrote and edited the copy to create SEO-friendly content throughout this website. 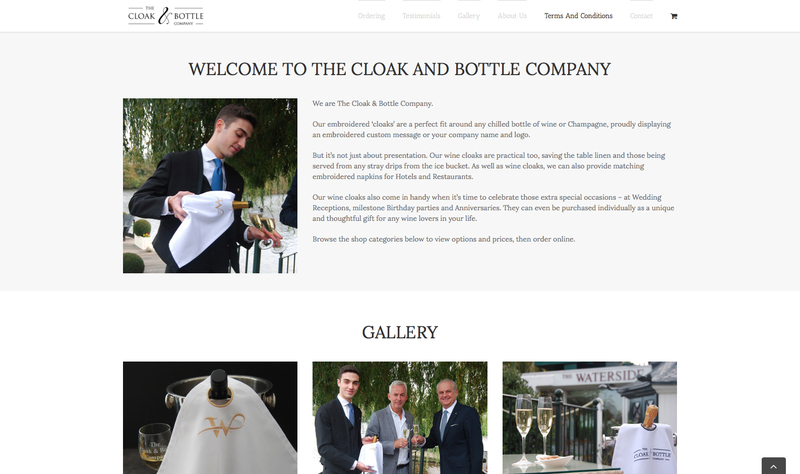 The Cloak and Bottle’s range of custom embroidered tableware is sophisticated and practical so we focused on creating a website that echoed these qualities.